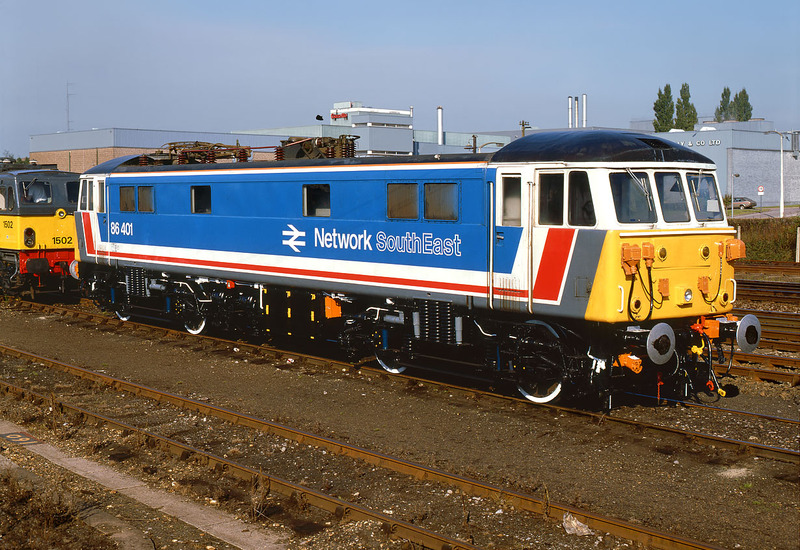 86401 was the only member of its class to receive the striking Network SouthEast livery. It is seen here at the Basingstoke Rail Show on 27 September 1987, parked in front of some slightly older electric traction in the form of Class 77 1502. This picture will probably appear on various other people's websites, as it was taken from a specially erected platform, which gave very little room to vary the viewpoint!